A commonly seen aspect of Japan’s outdoor environment is that the nation is rather proud and protective of its natural scenery. It is thus not all that surprising that many of Japan’s regions that are predominantly populated by nature are grouped in the form of National Parks, which in turn are maintained and managed by appointed bodies in the region. This allows local governments to protect the natural environment to the best of its ability, especially in the regions that play home to various forms of wildlife. One of the National Parks that is a frequently recognized name is the Daisetsuzan National Park. Its name quite literally translates into ‘big snow mountain,’ which is rather appropriate given the Park’s nature to be covered in thick layers of snowy goodness. Most of the national park spans the location of the regional mountain range in the center of Hokkaido, the largest island north of Japan’s main island, Kyushu. The mass of mountains located in the center of Hokkaido is a marvelous place of outdoor activity during the right times of year and anyone paying a visit to the island should at least visit them once. Despite the mountain park’s name, the snow and ice do eventually melt, even if that period isn’t all that long. In the time of thawing, the Daisetsuzan is a great place to hike in, with many unique and challenging trails ready to be explored. The park also happens to be the largest National Park in all of Japan, covering well over 2000 square kilometers. 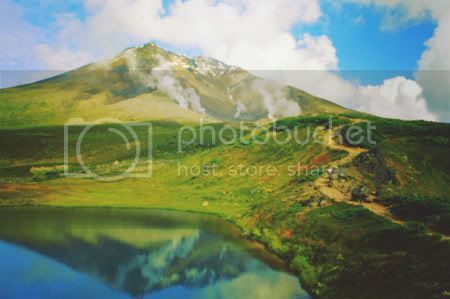 Aside from the aforementioned mountains, the Daisetsuzan National Park is also home to a large variety of Hokkaido’s different volcanoes, hot springs and even a large patch of forest and wilderness, home and habitat of the local wildlife. Even the occasional lake can be found here, making the entire park akin to a smaller scale representation of all of Japan’s natural sites and sights. Much of the park’s area is almost entirely untouched by humanity and is thus not really a conventional tourist attraction, but not a place to pass up for the true lover of the outdoors. Visitors tend to generally stay around the hot-spring towns nearby, but it is highly recommended that one finds one’s sense of adventure and at least hikes along some of the famous trails. Given that much of the park is sheer wilderness, it is recommended for visitors to go in groups or in the presence of a guide.